Following the tragic news of Chester Bennington’s death last Thursday, four of Linkin Park‘s albums have climbed up the US album chart. The iconic nu-metal singer died at his home in Palos Verdes Estates, Los Angeles, and over the weekend, a coroner confirmed that the 41-year-old took his own life. In the aftermath of Chester’s passing, fans have paid tribute to the singer by purchasing the music of Linkin Park, which has resulted in a Billboard Chart surge for four of their most famous albums. ‘One More Light’, the band’s most recent album, re-entered at 17, having sold 23,000 copies in the week leading up to July 20. However, their breakthrough debut album from 2000, ‘Hybrid Theory’, re-entered at number 27. In third place came their 2003 release ‘Meteora’, which sits at 41, followed by 2007’s ‘Minutes to Midnight’, which re-entered at number 115. Unsurprisingly, the band made a big impact in the rock charts, with records charting at number 3, 5, 6 and 27. Following the death of Bennington, Linkin Park have cancelled their North America tour. The band were due to play 27 dates over the next four months, to coincide with their ‘One More Light’ album release. The Linkin Park One More Light North American Tour has been cancelled. Refunds avail at point of purchase. Our thoughts to all affected. The Linkin Park One More Light North American Tour has been cancelled. Refunds available at point of purchase. Our thoughts to all affected. Linkin Park are yet to make an official statement on the singer’s death, but have posted pictures of Chester across their social media. 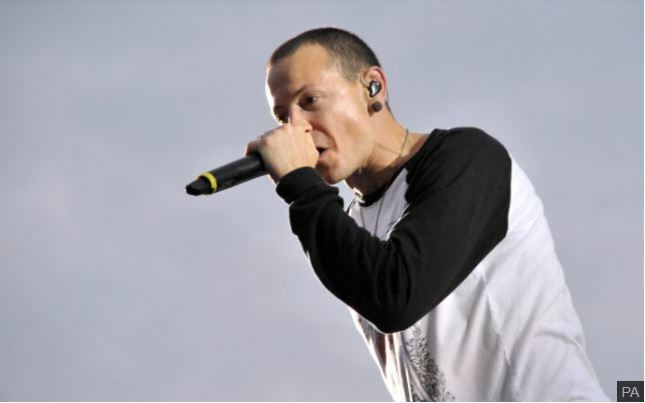 They have also set up a tribute site chester.linkinpark.com, which features suicide prevention information as well as social media messages from fans who are paying their own tributes. Chester is survived by his wife and six children and our thoughts continue to go out to his friends and family. If you’re struggling to cope with any problems, please call the Samaritans on their free, 24-hour hotline, 116 123.